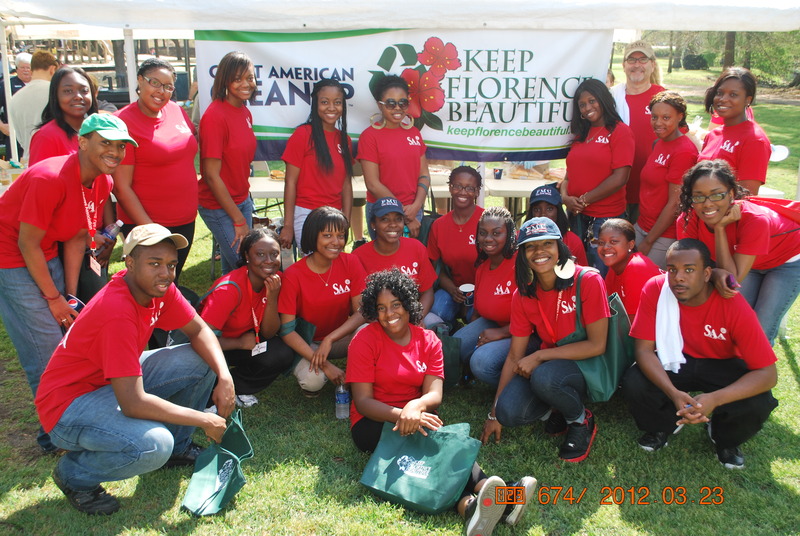 In its 13th year as an affiliate of Keep America Beautiful, the Keep Florence Beautiful Board of Directors, along with individuals, churches, nonprofit organizations, political organizations, businesses and schools, join hands in cleaning up Florence and ridding streets and neighborhoods of debris and trash. The Great American Cleanup will be held Saturday, March 23, 2013. Volunteers will be cleaning their designated areas of the community then meeting at Timrod Park in Florence, where teams turn in their clean up reports and enjoy a free lunch provided by Keep Florence Beautiful and its sponsors’. In addition to the Clean Up Keep Florence Beautiful has teamed up with Florence County Disabilities and Special Needs to collect paper onsite then shredded at the AAA certified Palmetto Secure Document Destruction Facility and Florence/Darlington Stormwater Consortium where they will host a rain barrel sale in Timrod Park. Funds from the collection will be used on beautification projects in the Florence Area. For additional information, contact Michelle Bailey at 843-206-3205 or email us at michelle@keepflorencebeautiful.org .